In 2003, Todd Haidet joined our team as Controller and now serves as Vice President of Administration. He is responsible for human resources, internal technology and the accounting department – he’s our go-to numbers guy. His goal is to ensure that administrative processes operate smoothly, so the construction team can devote their complete attention to the clients. 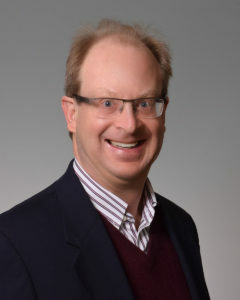 Todd started his career and love of numbers in 1984 working as a team leader for financial audits at Arthur Young, a national accounting firm. Over the years Todd has worked for various companies, including GE Aircraft Engines, Schumacher Dugan Construction and McGraw/Kokosing. He has utilized his diverse background to become an integral part of our leadership team. He is actively involved in Allied Construction Industries (ACI) Safety Roundtable. Todd enjoys golfing and spending time with his dogs. His favorite place to vacation is Hilton Head. Todd is a fan of the Cleveland Browns, Indians and Cavs, and the University of Cincinnati Bearcats.